Zee TV’s popular daily soap Kumkum Bhagya has completed 5 years of its glorious run. 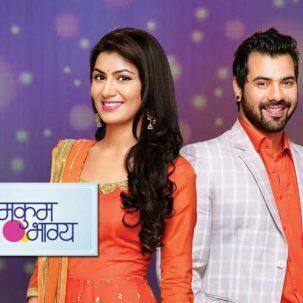 The loyal fans of the show have loved Abhi (Shabir Ahluwalia) and Pragya (Sriti Jha)’s romance for all the years. And even today the show is still on top on the rating charts. Both Shabir and Sriti are in celebratory mode as the show has completed a glorious run. And not just that, showrunner Ekta Kapoor, who is the brain behind the daily soap couldn’t contain her excitement as well. All three celebrities shared their joy and gratitude on social media by posting pictures from the memory lane. Lots and lots of happy love to everyone!! !